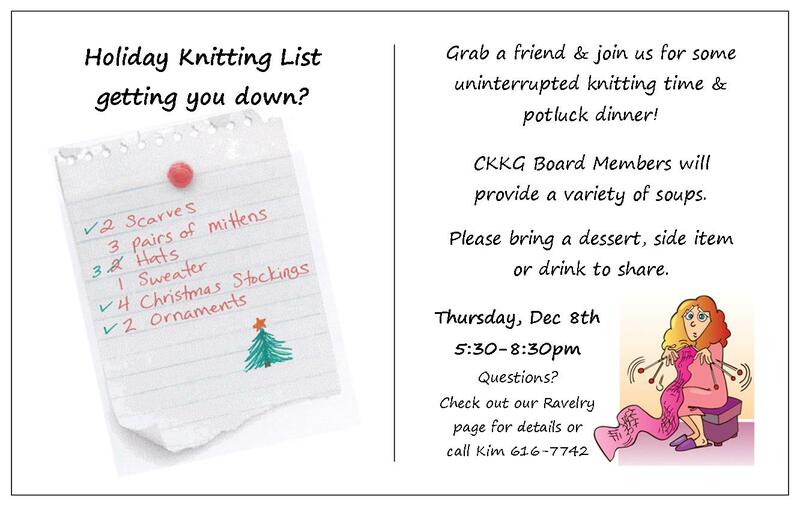 Come join us as we knit fast and furiously to finish up all of those holiday gifts you started (let’s hope you have at least started them!!!) on Thursday, Dec 8th from 5:30pm to 8:30pm. Previous Previous post: November Meeting Recap!